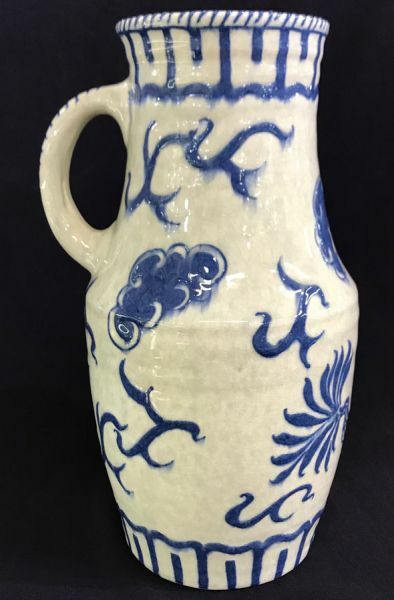 Charlotte Rhead art pottery jug. 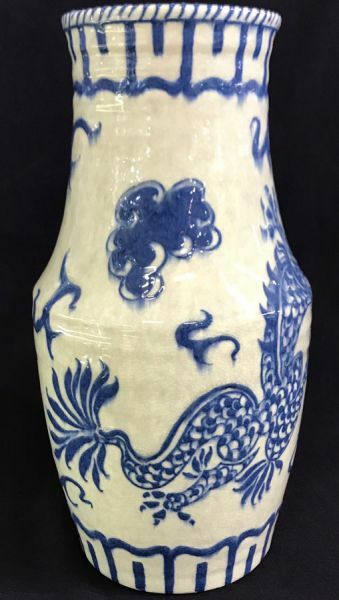 Potted by H.J. 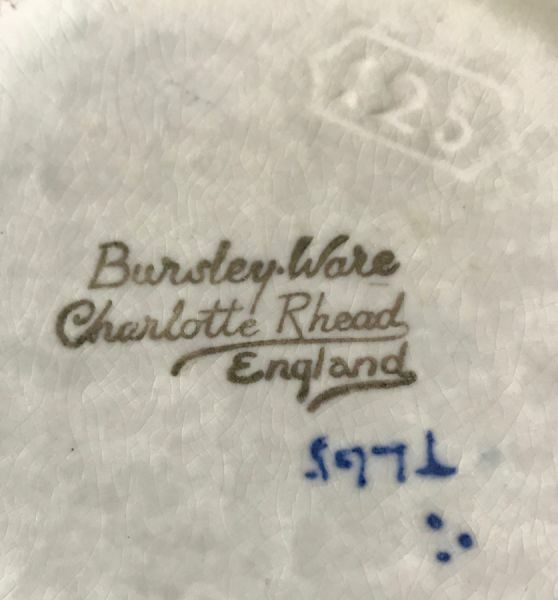 Wood Ltd. (Bursley Ware), Burslem, Staffordshire, circa 1930s. 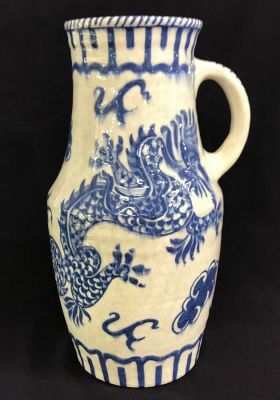 It is decorated in a Chinese inspired blue and white dragon motif that wraps around the body of the jug. 10 3/4” high, 5 1/2” diameter at the widest.